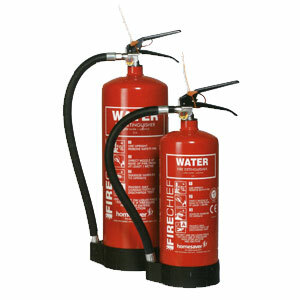 Water additive extinguishers possess all the fire features of a water extinguisher with the added advantage of being a compact and light weight unit. Ideal for use in almost all environments such as offices, shops and warehouses, or where ever paper, cloth and wood are present. Water additive extinguishers are suitable for all Class A fires (wood, paper & cloth), but should not be used on electrical fires.